Which Is Better: Elliptical or Bike? Chumbo Lex is a writer whose main areas of interest are health, fitness, language and culture. He is a certified personal trainer with the International Sports Science Association, and he also has a master's degree in applied linguistics from Florida International University. 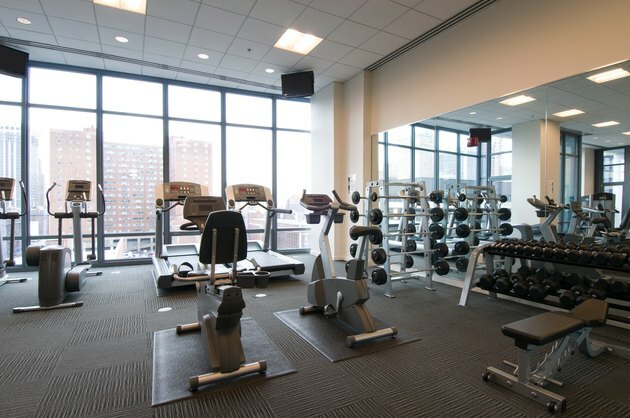 Most gyms have a cardio area that provides some form of elliptical trainer and one or more versions of an exercise bike. Both of these machines can help burn fat and increase aerobic capacity, depending on how you use them. Before deciding which is more appropriate for your needs, determine your goals. The International Sports Science Association defines cardiovascular strength as the ability to take in, transport and utilize oxygen. More intense cardio workouts increase the body's demand for oxygen and improve the body's ability to utilize it. According to the American Council on Exercise, using more muscles and working out more vigorously (at about the intensity of fast-paced jogging or running) will increase your cardiovascular strength. You can do a high-intensity workout on either a bike or an elliptical trainer. One difference is that on a bike you will use only your lower body, so your body as a whole will require less oxygen. Some elliptical trainers have levers that you push and pull with your arms. This allows you to use both your upper body and lower body, increasing the intensity of your cardiovascular training. Therefore, if used at the same intensity, a workout on an elliptical trainer will increase one's cardio capacity more than an exercise bike will. There is a strong correlation between duration and intensity of exercise and the amount of fat burned during a workout. On both an elliptical machine and a stationary bike, you can choose how fast or slow you move and how long you choose to workout. You can also choose the amount of resistance. What you'll want to consider is which machine you will be able to use most intensely and for the longest time. The biggest difference between using the elliptical and the stationary bike is the amount of muscles you use while exercising. Muscles increase strength when they are used for pushing, pulling or exerting force against objects. Also, standing demands increased engagement of more muscles than sitting does, because standing involves balance. If all other aspects of a workout, such as intensity and duration, are controlled for, using an elliptical trainer will allow you to build more muscle than using a stationary bike. Again, other factors to take into consideration are the amount of resistance and the duration of the exercise. 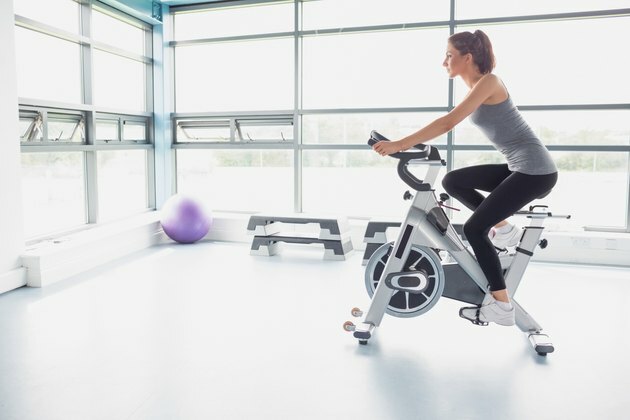 Both the elliptical and the stationary bike have unique advantages. An advantage of both of them is that they are low-impact cardio machines, which means that they are easier on the joints than activities like running and jumping. An advantage of the exercise bike is that you can sit while you work out. This enables people with balance problems to complete a workout without worrying about falling. The elliptical has adjustable incline which can increase the challenge to the body. According to the American Council on Exercise, an important aspect of any quality workout regimen is variety. Thus, a mix of workouts on an elliptical trainer and a stationary bike will create better results than using only one or the other. Does the Gazelle Exercise Machine Really Work?